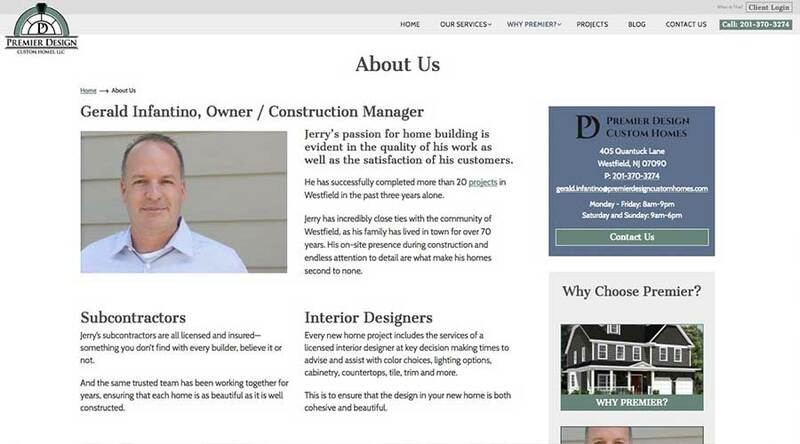 Gerald Infantino has a stellar reputation as a custom home builder in Westfield, NJ. His clients rave about the level of service he provides and the upscale, thoughtful details that he includes in a “standard” build. (If you think we’re just saying this, go watch some Premier clients talk about their experience.) 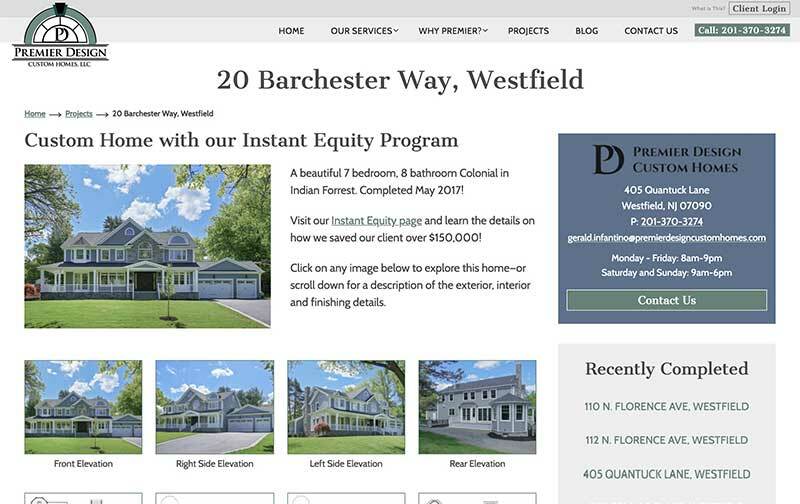 There were multiple goals with the new site, but one was to tell that story—to demonstrate how a Premier Design Custom Home really is different. 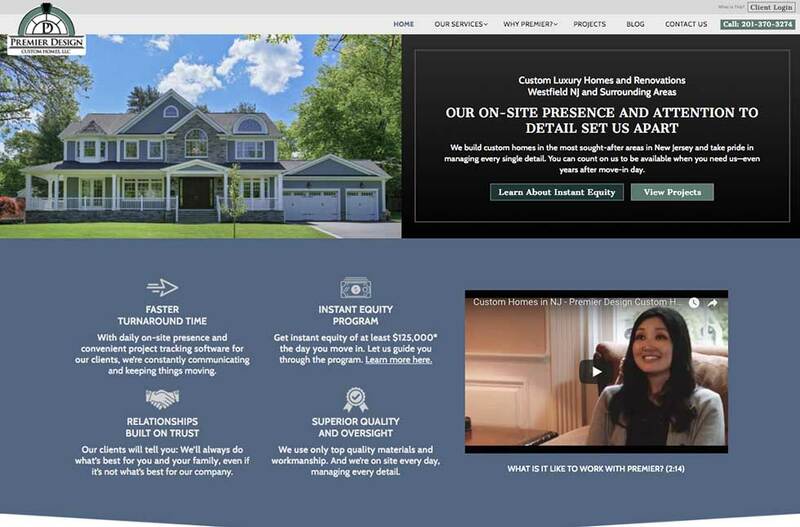 Among other things, we did that through copywriting, a custom project section and by working with Sealight Entertainment on compelling testimonial videos. We started with an existing logo, but other design elements had to be defined. The updated branding adds an elegant blue to the color palette and a “handwritten” script for testimonials. We also pulled a piece from the existing logo—the ‘PD’—to create an icon element that is used throughout the site. 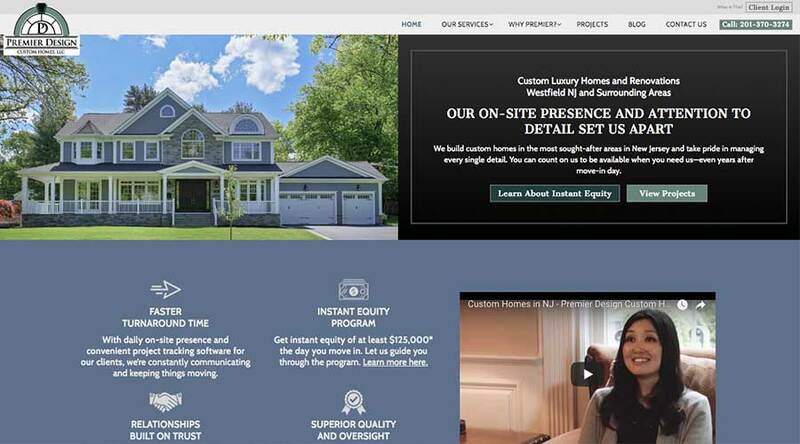 Does it make sense to invest in a custom website? It really depends on your goals, but customization can yield great results in a portfolio/project section—for both the person who is updating the site and the potential client who is viewing your work. 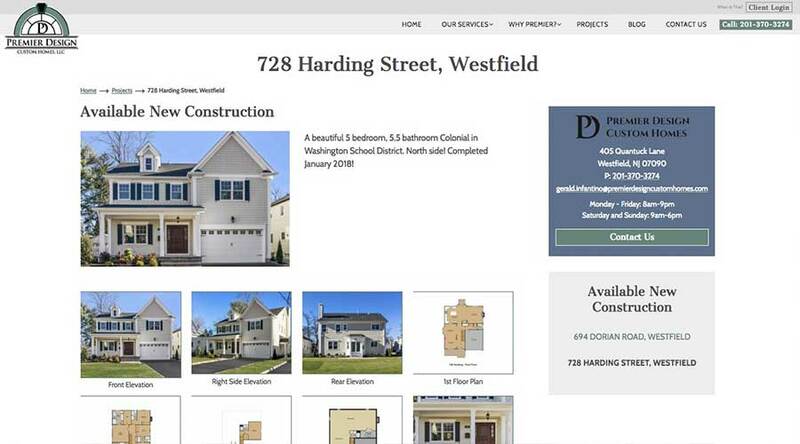 In this case, we created a project template that includes a large image, general project description, a gallery of images and a detailed description area. 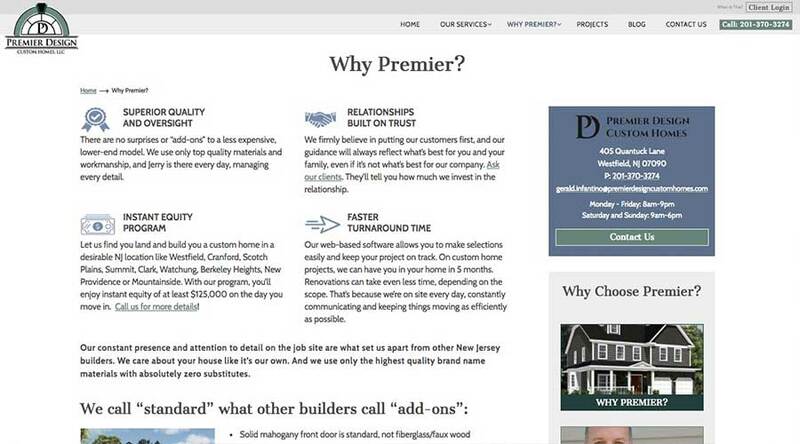 Every project page includes contact information for Premier and a convenient menu to click around to other projects. 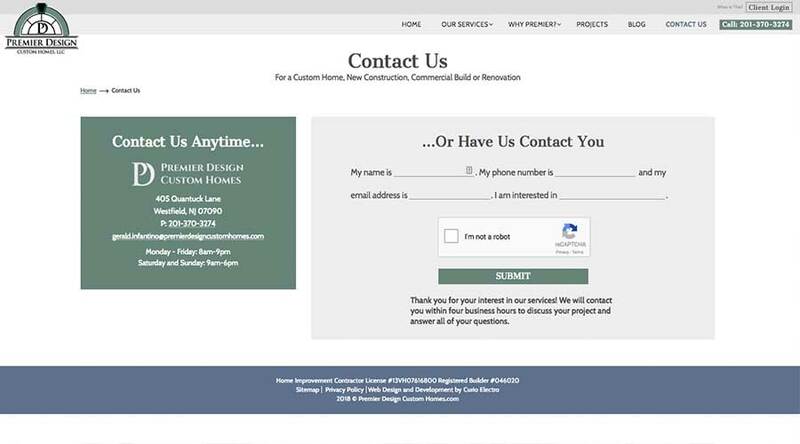 Customization allows us to design the best solution.